Escape rooms aside, video games is another particular interest of ours so we attend Thinking Outside The Box’s Retro room enthusiastic to play this particular escape. On arrival we were welcomed by the friendly owner whom after exchanging pleasantries invited us to complete a selection of puzzles within the waiting area - this was a nice touch, so we recommend arriving before your slot to take advantage of the quirky puzzles on offer as a warm up before your booked escape begins. We were then escorted to our game, which began with the games master in-room. He did a stellar job of entertainingly introducing the game before exiting where our 60 minutes began. The mildly scant plot reveals how we all became trapped into a console when a game-night goes awry after a lightening strike. Our mission was to escape by playing the game, fix the console before the battery dies or risk being stuck inside forever. Our first instinct upon entering the room was to point out the number of recognisable gaming throwbacks we could spot. A nice nostalgic touch for us 30-somethings who remember these iconic games the first time around. Although we did set off at a slow-ish pace as there was no obvious start-point or any immediate sequential flow to the room. 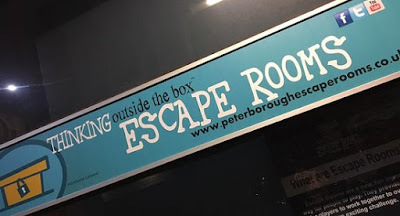 As we eventually progressed we enjoyed the mixture of puzzles, particularly those that required (mild) physical interactions to solve, all of which were novel ideas and different to any we’d experienced elsewhere - probably the rooms strongest characteristic alongside its chip-tune soundtrack. Frustratingly we did require a couple of clues and we did feel rather annoyed at ourselves for missing some seemingly obvious aspects - our fault entirely rather than the games. The puzzles were at times maths heavy, which is not to everyone’s tastes but once we found our feet the room did progress at a reasonable pace and eventually began to flow - there was plenty of puzzles to keep us all occupied without any team members feeling redundant. 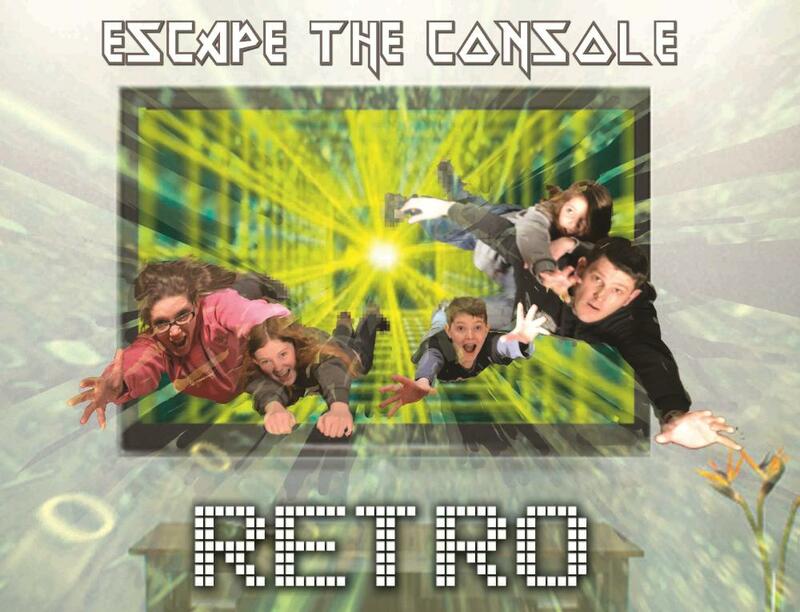 We did escape from the console in time, with a few pointers in the right direction. We loved the attention to detail at the end having the games master re-enter the room with notes to talk us through our game, highlighting our high (& low!) points - a great aspect which showed the hosts keen intentness in our game, rather than just generically pushing through clues when asked. Our main issue here was the sub-par display of obvious DIY & homemade props, puzzles and decor, with some items that had become almost unusably tired. Whilst decisively this could translate as an endearing labour of love for the escape genre, up against other more polished rooms we’ve played at a similar price-point it sadly fell short on the standards we’re accustomed to, feeling amateurish by comparison. For this reason, we did regretfully leave with a feeling that our earlier high hopes for this game had not been met. Having said that, the premise and some original puzzle ideas here were undoubtedly fantastic but when any games master has to enter a room due to malfunctioning props it does take away from its immersion. 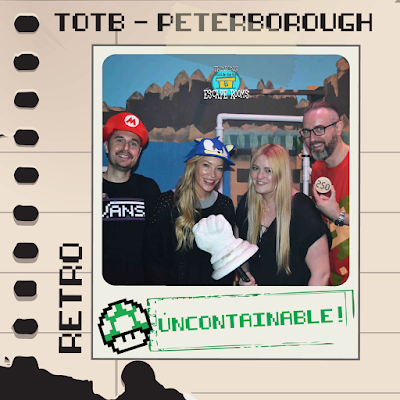 With some well-worn props retired, replaced and the space given some much needed TLC, the Retro Room at Thinking Outside The Box really does have the potential to be a great escape game - with the attentive games master here being a particular highlight. But sadly, in it’s current incarnation at least, it felt as though Bowser had ransacked this castle, leaving a well-worn trail of destruction behind.